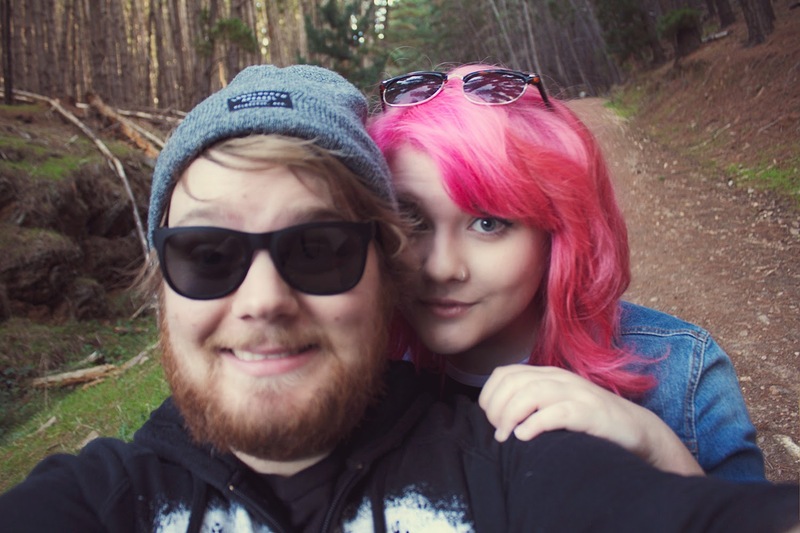 Last weekend Sam, Toby and I took advantage of the lovely, sunny weather and went for a drive up to Kuitpo forest. I've always wanted to go there and take some photos, and I finally got a chance to do it! We had a really nice time wandering through the trees and Toby was very happy to sniff as many forest smells as he could. We took the long way home through Hahndorf and stopped for a pie and a chocolate milk, because why not? I definitely want to make trips up there a regular thing. It reminded me a lot of the hikes we would go on during school camp when I lived in the Northern Territory, which I hated because the weather was so hot and sticky and we had to carry massive packs full of our stuff, except a whole lot nicer. It was lovely to be somewhere quiet and breathe the fresh air and listen to the birds with my two favourite boys, I can't wait to do it again!